Welcome to the Early to Rise Challenge! Throughout the month of March, I’m challenging myself and my readers to make the most of their mornings. So every week day morning at 9 a.m. EST, I’m posting a short Early to Rise post. I’ll share a few of my thoughts on the , tell you what time I got up that morning, and encourage you to leave a comment to tell us what time you got up and how you’re doing on the challenge. It’s the last official day for the challenge here. I have been so blessed by each and everyone of you who participated, commented, and/or read along with this challenge this month. Want to blog about this challenge? If you’re blogging through this challenge with me, be sure to leave your link to your direct post for today below. Plus, if you’d like to post your daily posts to the , just shoot me an email (moneysavingmom @ gmail dot com) and I’ll invite you. Want to follow along on Twitter or Instagram? 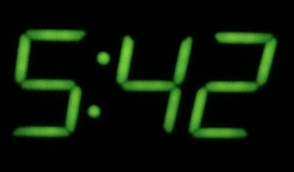 Each week day morning on , , and , I’ll be posting a picture of my alarm clock as public accountability. I’d love to have you do the same or join in the discussion on Twitter and Instagram. Just follow hashtag #EarlytoRise to see what others are tweeting and Instagramming about this challenge! One of my favorite parts of adopting an lifestyle is that I begin my day with quiet time. This is time when I read my Bible (I’m currently reading through the Bible, so I read a few chapters every day), write in my Gratitude Journal, and pray. It’s a time when I fill up my soul to give me energy and encouragement for the day. This time is so important for the success of my day. It lays a foundation for my entire day — and on the days when I get up late and don’t get to spend that quality time reading the Bible and praying, I miss it so much. Plus, my whole day just feels rushed and “off”. Can I encourage you to take time every morning to be quiet? To fill your soul up? To reflect on your blessings? If you’re a Christian, I especially encourage you to start your day with prayer and reading God’s Word — even if it’s just a few verses. It’s the best way to begin a successful day! My husband had to work until 9 p.m. last night, so I stayed up until 10 p.m. and skipped my crazy-early morning wake-up time. 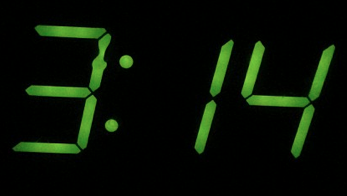 It cracked me up how late 10 p.m. felt like last night — and how quickly we can retrain our perspective! 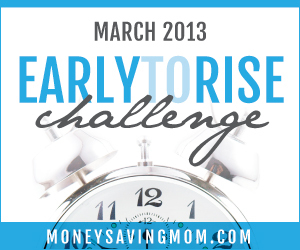 I’ve enjoyed reading many of the posts bloggers have been sharing about rising early during this month’s Early to Rise challenge, and I have read most of them at quite an early hour. However, I have been going back to bed as soon as possible afterward. Not because I’m lazy, but because I have a new baby. I’ve traveled this road through Newborn Land once before, so this time I haven’t struggled as much about wishing I had my life more together, because I know that season will return again soon enough. However, just knowing and believing doesn’t always ward off the negative feelings that appear when sleep deprivation and spit up replace routine and order. I was inspired to come up with my own manifesto for all of us moms of babies after reading Crystal’s and . I hope you find encouragement in it if you find yourself up at 12:30, 2:00, 4:00, and/or 6:00 in the morning with your little bundle. You must do this. It’s sometimes easy to think you are the one who has it together when you’re living life without a baby. Now that baby is here, acknowledge that she is God’s way of reminding you it’s only through Him that you can accomplish anything, let alone great things. Meanwhile, don’t get embarrassed when you’re forgetful and unable to to keep up with the fast-paced world outside. Instead, thank God for the respite He’s giving you. Soak up the beautiful simplicity of these days — savor the new baby smells, memorize the feeling of the cuddles, study the eyes taking in the world for the first time, and smile at a face that adores you and depends on you like no one else in the world does at this moment. Soon enough, that baby will be crawling, toddling, and then running around when you’d rather take a few minutes to snuggle. 3. Spend five minutes filling your soul. Maybe it’s just one minute some days with a solitary verse in the Bible, but do it. This isn’t the time to study profound books on theology, but it’s a perfect time to admit your need for God’s strength…especially on those days following the nights where you only get an hour or two of sleep. 4. Set one attainable goal a day. For the first week or so, my goal was to survive and feed the baby. Now that my little one has a couple of months on her, I can choose things like complete a load of laundry, including putting the clothes away. I’m making it a point to take this time in my life to dream and plan. It’s crucial for my sanity to be slow in adding responsibilities back into my routine. The extra time to think ahead has made me want to get busy too quickly sometimes, and the needs of my kids bring me back to reality when I start getting ahead of myself. When you start to feel discouraged, remember that you are rising early, sometimes multiple times. Give yourself a break and be sure to implement rest into your day. If you find yourself getting out of bed at 10 a.m. and dreaming of an afternoon nap, don’t sweat it. The time for routines and online challenges will come again, meanwhile enjoy this time holding your baby. Related: How can I be organized when I have a toddler and a baby? What advice do the rest of you have for moms of newborns or women who are in particularly busy and exhausting seasons of life? Kelly is a stay-at-home mom who is passionate about encouraging others to join her in embracing confidence in the average, day-to-day ministry of motherhood, marriage, and friendship. She blogs at . If you’re feeling alone in this challenge, today’s post is for you. It’s hard to go against the flow. It’s difficult to feel like you’re the only one doing something, the only one who cares enough to make changes in your life. But I promise that it’s worth it. Even if most of your friends think that you’re crazy for trying to live on less than you make, pay off debt, set goals, and/or get up early, do not let that deter you. And know that you’re not alone. There are thousands of us out there who are with you in this. We’re all struggling along in our own way, but we “get” you.We understand that you want something more than the status quo and we wholeheartedly agree with you. So keep pressing forward. Don’t give up. Keep looking for fellow comrades who get your “weirdness” and who aren’t afraid to support you — or even join you. They are out there, it just might take you a little while to find them! Do you feel alone in this challenge — or just alone in your life and goals in general? If so, would you do me a favor and leave a comment on this post or email me directly. I’d love to take a minute to write and encourage you to let you know that we’re cheering for you. And if you are looking for an online accountability partner, leave a comment, too, and maybe someone here can link up with you to be your accountability partner and encourager! Yes, it was another crazy-early morning. You can read why I’m adopting this short-term schedule here. Many of you enjoyed my post on 11 Things You Can Tonight to Set You Up for Success Tomorrow that I had Joy from create a printable for you. This would be perfect to print and hang in your bathroom, bedroom, or on your refrigerator to remind you to kick off your morning well. Be sure to also print the 17 Ways to Set Your Morning Up for Success printable, too. Have you found success by participating in the challenge this month? If so, don’t keep a good thing to yourself! Tell your friends, blog readers, neighbors, and co-workers about what you’re learning and the progress you’re making. Don’t make them feel guilty if they are not early risers, but DO inspire them to consider trying to make the most of their mornings. I get so pumped by hearing about other peoples’ successes with early morning rising. It motivates me to keep at it — and it inspires me to aim higher and be more intentional in my early morning rising. For instance, at the this past weekend, I had the privilege of spending a little time with Jessica from . She’s an amazing woman who accomplishes a lot and does it well. She told me how she accomplishes so much by being committed to going to bed early and getting up at 5 a.m. every morning and using the first hour and a half of her morning really intentionally to write, plan, and work on projects. Hearing her success inspired me to continue to making early morning rising a priority in my life. In fact, it’s one of the reasons I opted to get up really early for the next three weeks to work on editing my book (more on that below). Who are you going to tell about your early morning success today? Tell us in the comments. 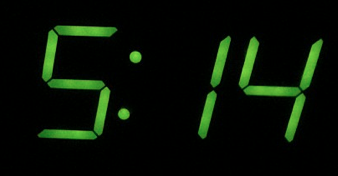 I got up at around 3 a.m. this morning. 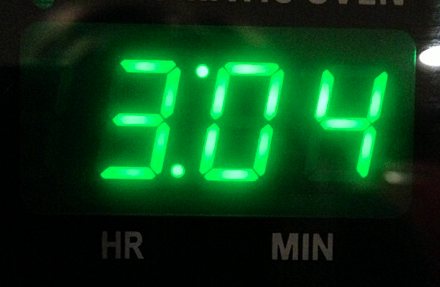 And don’t worry, it’s not because I think 3 a.m. is a great time to wake up. It’s for a good cause, though. You see, I got my editorial review back from my publisher this past weekend and I have until April 15 to make some fairly extensive edits. While I’m going to scale back in some areas, I don’t want to give up the good routine we have going in our life right now.